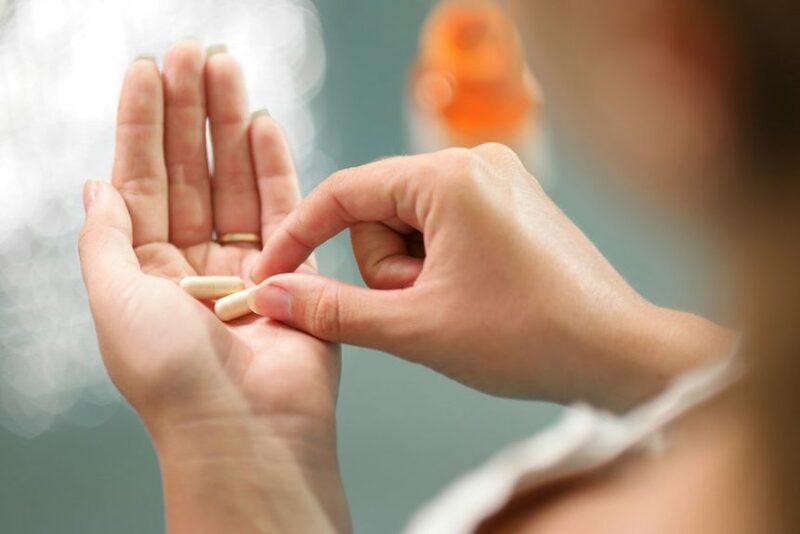 What Are the Benefits and Side Effects of Taking Collagen Supplements? 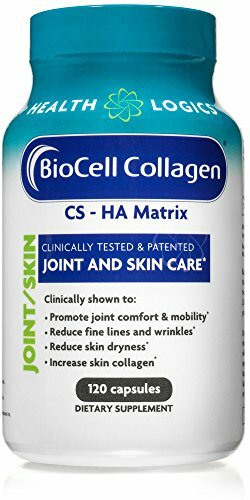 Best Home Gym Equipment Reviews What Are the Benefits and Side Effects of Taking Collagen Supplements? If there’s a possible positive effect on health, there’s usually a supplement for it. Of course, supplements for your hair and skin exist, as well as supplements for your muscles. Collagen is a popular supplement that exists in the grey area between health supplement and cosmetic product. Most people take collagen to help with their appearance, but there are a few other benefits. However, are the benefits worth the side effects? The side effects of collagen supplementation are rarely discussed, and thus can affect many people due to the lack of education on this supplement. What are the benefits vs. the side effects, and is taking collagen really worth it? Before we dive in to the benefits and risks of collagen supplementation, let’s define collagen. Collagen is a protein; in fact, it is the most abundant protein in your body. Think of the tissues in your body – bones, organs, muscles, etc. ; what holds them together? Collagen, of course! Collagen is responsible for all of your connective tissue and physical elasticity, whether it be in your skin or other tissues. Collagen also gives structure and strength to your hair and nails. When considering a single nutrient that has a hand in hair growth, skin elasticity and other aspects of interior and exterior body processes, it’s no wonder there is an interest to supplement for it. Since collagen controls the elasticity of pretty much everything in your body, it’s no surprise that it controls the dilation and flexibility of your blood vessels. If your blood vessels are more flexible, more blood can move through them. Not only is this good for weight training (blood takes the nutrients to your muscles to give you that “pumped” feeling), it can lower blood pressure and help to regulate it. Blood pressure can be a serious concern for those over 40, or those with a history of high blood pressure. Speaking yet again of elasticity, your skin loses elasticity with age just like your blood vessels. When you lose elasticity in your skin, gravity takes over and wrinkles form. Supplementing with collagen can slow the formation of wrinkles by supplying some elasticity back into your skin. This alone is enough for many people to start taking collagen supplements. Thinning hair can be one of the most embarrassing and difficult parts of getting older. This is also a side effect of decreased collagen levels. Supplementing with collagen will make your hair grow, but not in the way that most people think. 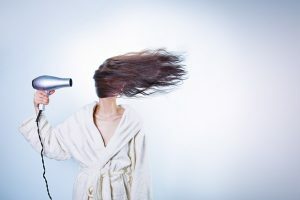 Instead of new hairs popping up all over your head, supplementing with collagen actually thickens the strands (hair follicles) that you already have. This, in turn, gives the hair a thicker texture and appearance, which can be a huge confidence booster. Having limited joint mobility is a huge side effect of arthritis, and can be the source of a significant amount of pain throughout your day-to-day life. Taking a supplement that contains the protein necessary for joint mobility and elasticity makes perfect sense, and it works pretty well according to several studies that have been conducted. In fact, the majority of the research on the benefits of collagen centers around joint and bone health. Collagen, because it is responsible for connective tissues and their flexibility, do a lot as far as healing bones and ligaments. If your collagen levels are getting low, your body’s ability to heal and rebuild those tissues becomes limited, this is where the collagen supplementation comes in. Bringing your body’s collagen levels back to normal will speed up recovery and get you back in the gym, back in the office or just back on track more quickly. For example, if you have carpal tunnel, you may benefit greatly from getting one of the best Carpal Tunnel braces and supplementing with collagen. Most, if not all supplements have at least 1 or 2 negative side effects, it’s just the name of the game. You take in a surplus of whatever nutrient and you get benefits, but it may cost you momentary stomach discomfort, or you have to drink more water to process the supplement, then drink more water than you normally would throughout the day. The benefits almost always outweigh the risks, which is why there is still a market for these supplements. But is collagen of that same camp? Do the benefits really outweigh the side effects? Let’s take a look at the side effects now and you can best decide if supplementing collagen is a good choice for you. By far, the most common complaint against collagen is that it causes stomach and digestive problems. Diarrhea, gas, constipation, and stomach cramping are the most common complaints. That’s because the amino acids in collagen are all broken down differently by the stomach. And while some of the amino acids, like glycine, are broken down effectively, some aren’t handled so well. This seems to be particularly true for those who are taking large collagen doses. One of the possible side effects of collagen supplementation is that calcium levels could get too high. Doesn’t sound like much of a problem, does it? Calcium is good for us; but, not in extremely high doses. If our bodies’ concentration of calcium is too high, symptoms include vomiting, bone pain, fatigue, nausea and constipation. Some pretty rough symptoms for ingesting too much of a good thing. 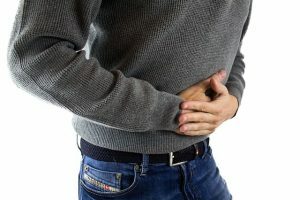 Generally, when your body has too much of anything (except calories), it will try and discard it as waste, which can be very uncomfortable, depending on the severity of the nutrient or compound concentration. Collagen supplements generally obtain their collagen from food products – mainly shellfish and eggs. If you have an existing food allergy to either one of these foods, the collagen supplement very well may trigger a reaction. Make sure to check the source of collagen on the package and check for any ingredients in ANY supplement that could interfere with your allergies. While there are many choices on the market, you’ll want to be picky about your collagen supplement. In talking about collagen, WebMD suggests that you choose wisely. Look for sources that are as clean as possible, and keep an eye out for cage-free and antibiotic-free animal sources. Also look for 3rd party verification from USP or NSF. This is probably the most popular collagen supplement. BioCell Collagen is a hydrolyzed mix of collagen type II peptides, chondriotin sulfate, and hyaluronic acid. This mix is actually patented. It’s great for most people because it doesn’t include GMOs, gluten, soy, shellfish, fish, egg, milk, peanuts, or sugar. This seems to be one of the best collagen supplements out there, especially for joint pain and issues. As long as you take the correct does with plenty of water, you should see positive effects. This BioCell Liquid Collagen has 500mg of a liquid BioCell collagen blend that’s chicken derived. It works well, but it’s more like a health drink than an actual supplement. The Collagen Peptides Powder is an unflavored powder that can be added to any drink or food. It has type I and type III collagen, is gluten-free, and is made from all-natural bovine peptides. It’s one of the highest rated collagen supplements out there. For many, supplementing with collagen can be something of a mild fountain of youth in how it affects the body. Somebody with skin starting to wrinkle, hair starting to thin, arthritis pain and poor circulation will benefit greatly from collagen supplementation. Even if few health benefits are gained by the user, cosmetic improvements can boost confidence, which will not only transfer over and be reflected in the person’s performance at the gym, but will reflect in their day-to-day life. So – is collagen worth it? As long as the supplementation is monitored and the supplementation is done safely, collagen is definitely worth it. Has any research been done into the effect of collagen on the eyes/vision? My mum i s taking the collagen peptide powder collastar.she has athirites.and its giving her pressure .is it really this powder. Can this cause high blood pressure ? I am wondering that as well. I am using collagen peptide powder for 1 week and started to get a runny tummy? Is the dose too high? Must I halve and see how it goes? collagen peptides have affected my GI system too. I am taking a 5 day break of not consuming to see what not happens and getting back to normal. Perhaps I need to drink more water if I start again. The benefits are fantastic. Since starting on collagen, I’ve had two episodes of what I would describe as muscle pulls. Stiff sore neck lasted almost a week and now back discomfort from picking up about a 10 # watermelon. Does this sound related to the collagen? I am wondering if you ever found out if your muscle pulls/ stiff neck were related to consuming collagen. I started taking it about 3 weeks ago and have suffered a stiff neck and two muscle pulls in my back since. Yours is the only post that I have found via a search to see if this is a side effect. I am not sure but I would like to know as well, My blood pressure has gone up a lot since on this and I get lightheaded as well. Does anyone know that can help us. I have taken Collagen pills and for some reason, I break out and my joints have been popping a lot more. Are these normal side effects? I have found out I have three blood clots on my cerebellar and had three strokes.. I have been taking collagen for a long time and take maybe 5 to 8 a day.. can this course my blood to thicken up??? And course these health problems?? Is it safe to take fish based collagen and calcium supplement. I am taking prolia and am supposed to take calcium supplement daily. I have just fainted I took three tablets of collagen.can I stop it or reduce the dosage. Can a person on high blood medication take collagen? I have been taken collagen , take 4 day. Have been feeling light headed ,am I taking to meany .? I have been taking collagen peptides powder for about two weeks can you tell me if I should maybe cut back on the dosage since I get digestion issues with it? I have been taking one scoop day.